* As it can be seen from the photos, this creation made by two layers. This unique technique developed by Nazo Design®, makes the creation very rigid and really hard or -if you can make it right, impossible to be squeezed and deformed. * You can also use this creation as a pendant. You can also use it in other project of yours combining with other techniques such as crochet bead ropes, RAW. * 3 mm round pearls or any kind of 3 mm round beads. * I offer the pattern, not the earring. * PDF file explains every single step for you with more than 100 photos and detailed explanations of each step along with the photos. * I would be more than happy to see your creations' photos. 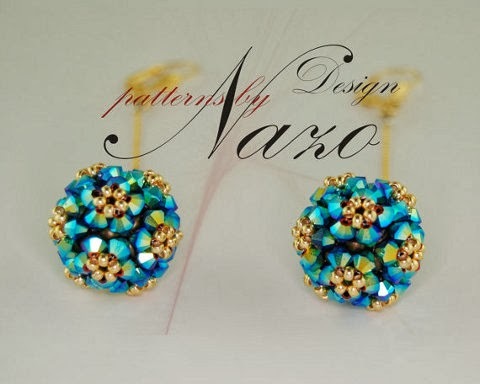 Pattern is tested by Nazo Design®.